The small person has been creating her own fashion range this afternoon. 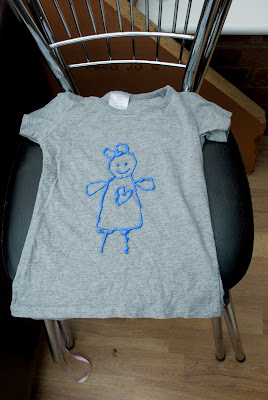 I found 2 old t-shirts in her drawers and we had 2 different coloured puff paints. She's drawn her own designs free hand. 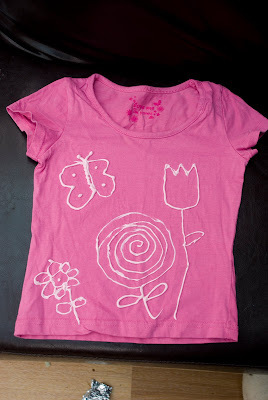 This one is a flower, a rose, a tulip and a butterfly. 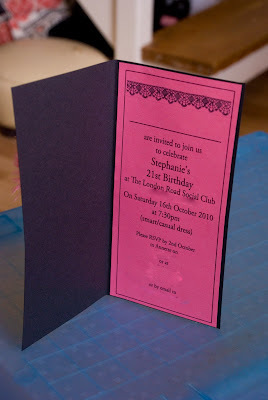 In between watching her be wonderfully creative I have been finishing off my sister's party invitations. 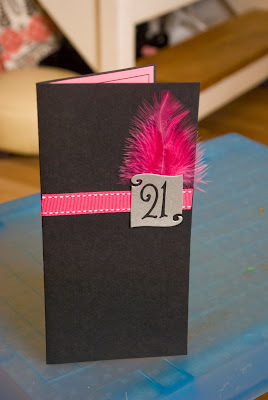 I'm a bit short on black card though, so I still have another 17 to make once I've bought another pack of card. Everything else is ready to go. 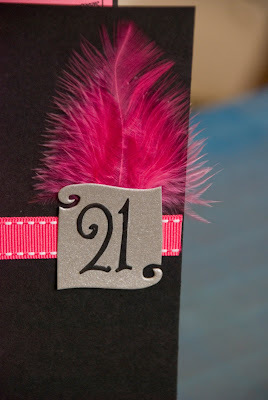 The most time consuming part was cutting out all the little sizzix bits to make the "21" toppers.